The Martin family had their first channel shut down last year. 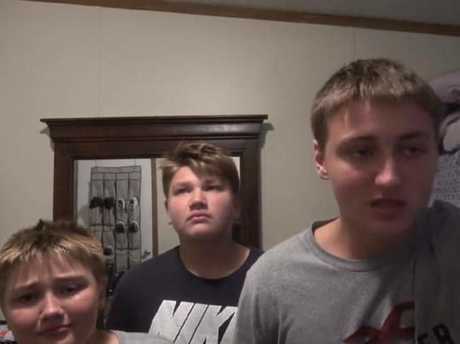 IN A heart-wrenching video posted by one of their adoring fans, three young boys sob to the camera and tell hundreds of thousands of followers their YouTube channel has been deleted for a second time. "We're nothing," the youngest, Alex, says through tears. A year ago, Michael and Heather Martin, a couple from the US state of Maryland, sobbed to a different camera and apologised to their 800,000 subscribers for the sorts of videos they'd been uploading to Michael's channel, DaddyOFive. Every video on the channel amassed more than a million views but the content - depicting the parents shoving, screaming and abusing their five kids - landed them in a world of trouble. Their two youngest Cody, 10, and Emma, 11, bore the brunt of the abuse and an investigation from child services found both of them had suffered "mental injury" from the pranks. Michael and Heather, the stepmum of the kids, lost custody of Cody and Emma and were convicted of child neglect in September last year and sentenced to five years probation. As part of their probation, the couple are not allowed to contact Cody and Emma. Cody was taken away from Michael and Heather Martin after this “prank” video. But it didn't stop them from making new, abusive videos with their three remaining kids. Less than a month after their sentence, DaddyOFive rebranded and despite the state's prosecutor labelling the first lot of prank videos "horrendous", the Martins were back. Using the loss of two of their children as part of their new YouTube channel name, FamilyOFive returned with similar prank including footage of their youngest Alex screaming at his dad, "turn off the camera" and falling to the ground in pain after a ball hits him in the crotch. The new videos, which featured Michael, Heather and their three boys, were on the verge of hitting 200 million views but earlier this week, YouTube called time on the family's online career. FamilyOFive was killed and an associated channel FamilyOFive Gaming was also shut down. Taking to YouTube yesterday via a fan's account, the three boys uploaded what will probably be their last video, hitting out at the people who called for an end to the cruel videos. "We did this because we knew we had a fanbase, we knew we had people to entertain and this is what we were good at, this is what we did," the oldest said to camera. Alex, Ryan and Jake Martin speak about losing their second channel. A number of prominent YouTube creators called out the Martins' channel this week, including popular online broadcaster Phillip DeFranco. 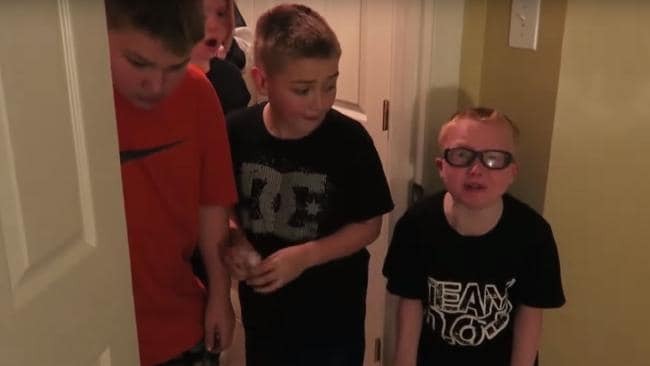 Through tears, the youngest boy Alex told DeFranco the backlash had "destroyed this family" and claimed all of their prank videos were completely staged. "He destroyed our career, he destroyed this family. We didn't do anything wrong," he said. "Everything we did was not real." A local news station WUSA9 also ran a campaign to have the channel deleted and the family gave them a statement in response to its success. "Our family has worked very hard to heal and re-establish ourselves over the past 18 months. Through a lot of hard work and introspection, we are all doing well, and are happy. "YouTube is something we enjoy as a family, and we will continue to do it, within the strict boundaries we have set for ourselves. For the sake of our privacy and continued healing, I have no further comment on anything past, or present at this time," they said. In a separate statement, YouTube said "content that endangers children is unacceptable to us". "We have worked extensively alongside experts in child safety to make sure we have strict policies and are aggressively enforcing them. Given this channel owner's previous strikes for violating our Guidelines prohibiting child endangerment, we're removing all of his channels under our Terms of Service." But the boys, who claimed in their video that the platform was their "foundation and rock", said in the video they never wanted any help. "We had everything we ever wanted because of YouTube, we enjoyed the attention from YouTube," the oldest Jake said. "All these people that were out to 'help' somebody, you didn't help anyone. "People ruined our lives over a hobby that we loved claiming they were saving us when the people we needed saving from was you." 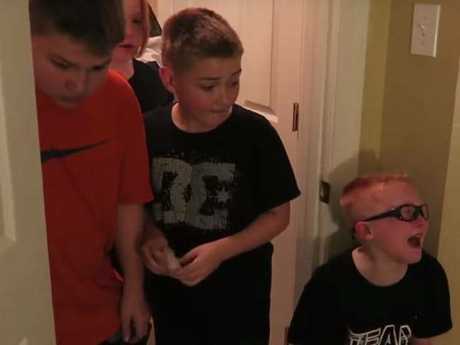 After their video message, the three boys showed more than 20 minutes of "out-takes" they had from their prank videos - most of which showed what happened after the boys appeared to be hysterical or hurt on camera. "Don't oversell it just have fun," Michael told the boys in one clip. "You've gotta be thinking thumbnail the whole time. Lighting's gotta be good the whole way through." One of the scenes that especially worried viewers was footage of Alex appearing visibly distressed and screaming at his dad to turn off the camera. "His emotions are not real, we left an out-take purposefully there but no one seems to hear the part where he asked my dad if 'he got all of it on film'," the boys wrote, insisting the entire scene was instigated by Alex. "After we filmed this dad said we couldn't do no more (sic) like this." The brothers also responded to concerned viewers who said the parents were "exploiting" the young boys' relationships with girls for views. "Some people need to throw big words around like 'exploit' and act like our parents were using things we were going through to make a YouTube video. Well the fact is Ryan doesn't have a girlfriend, he changed my name in his phone to crush and that was me texting him," Jake wrote. In the description of their video, the fan on whose channel it was shared wrote the Martin boys reached out to him because they wanted to deliver the message. "They are heartbroken. Their lives are now ruined over self-righteous people looking for their five minutes of fame," the fan wrote. Despite the family's obvious distress over their second account getting wiped, social media appears to be overwhelmingly relieved at the channel's death.